If you are a new parent, or perhaps you are mom or dad to an ever-growing family, then you will know that there is nothing worse than if your little one gets sick. If your child is still under the age of three, then you can expect a lot of tears and screams, as they may struggle to tell you what is wrong. It can be incredibly distressing for any parent, and you may even begin to feel upset and useless. Help is at hand, so you need not struggle along on your own. It is vital that if your little one is unwell, you seek medical advice and visit your local health practitioner or doctor to get them fully checked over. If your little ones attend daycare or spend time with a sitter, around other infants, then sadly there will be a time when they suffer from either vomiting or diarrhea bug. Changes in food, water, and the environment can affect sensitive tums, causing a change in digestion or even irritation if they are beginning to eat solid foods. It could also be worth getting your little one tested for food intolerances, in particular, if you notice that they are in pain or suffer a lot of wind after eating particular foods, such as dairy products. If your baby is a fussy eater and you find them spitting up a lot after eating, then baby acid reflux medicines can help to aid digestion. Remember that diarrhea and vomiting are common in extremely young babies and infants, but if you notice any blood in their stool or green discharge, then it is advisable to seek medical advice. During the colder winter months, your little one is even more susceptible to coming down with the flu. If your little cherubs have the flu, then you can expect a grumpy, cranky and irritable infant that is restless and hard to settle down for a nap. If you think your child is at risk, then consult your local health practitioner about getting them vaccinated against the flu as this is highly contagious, especially amongst younger children. If they are already ill, you can expect the virus to last between three and seven days. However, if it is any longer than this, then you should book an appointment with your doctor. If you notice that your child is finding it hard to hear, and either rubbing or scratching their ear even more than usual, then they may be suffering from an ear infection. Although most infections will clear on their own during the course of a few days, it is worth seeing your medical practitioner if you notice any unpleasant smells, or colored discharge oozing from the ear. Ear infections are easy to treat with antibiotics but can be unpleasant for both infant and parents to deal with. Remember to seek medical help if your little one is sick or unwell. It is important that you don’t feel isolated, and consult expert advice if you are unsure. Every new parent invariably face it. With so much love and concern for their newborn they often feel confused about taking care of their baby in the best possible way. Obviously more than anything else they become more concerned about the interior of their baby room. Yes, when it comes to baby room we cannot take the considerations about furniture lightly since this is something to play crucial role in creating s pleasant and vibrant atmosphere which is important for the baby. 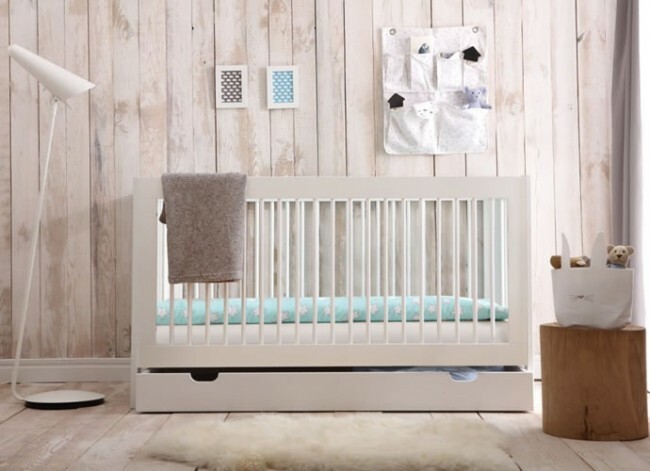 These days, as saving floor space and managing things with low footprint furniture became important, especially to create more space inside baby room, convertible baby cot beds are widely preferred. They are incredibly cute, neat and functionally superb. Most important of all, they allow parents more flexibility to use the bed all the way up to the teens. But when buying convertible cot for your sweetheart little one, remember the following tips. The first and most important point is to choose a bed which is exceptionally easy to use. In this respect you should keep in mind that cot beds for babies vary a lot as far as as flexibility and ease of use is concerned. First of all, the side of the cot that goes up and down should work smoothly and should be lighter for the hands. Moreover, this dropside should be lower enough as well allowing easy reach. Secondly, it should be made in a way that prevents the child to open it but should be easy for the grownups to do the same. Another important consideration is the safety measures incorporated in the convertible cot bed. First of all, make sure the cots you are going to purchase carries the safety certification and stamp of trust from local authorities and industry ratings. After you do this check by verifying industry certifications and trustmarks on safety, you can now go in depth for a better safety check. First of all, see whether the cot bed is deep enough to prevent the child from falling out. 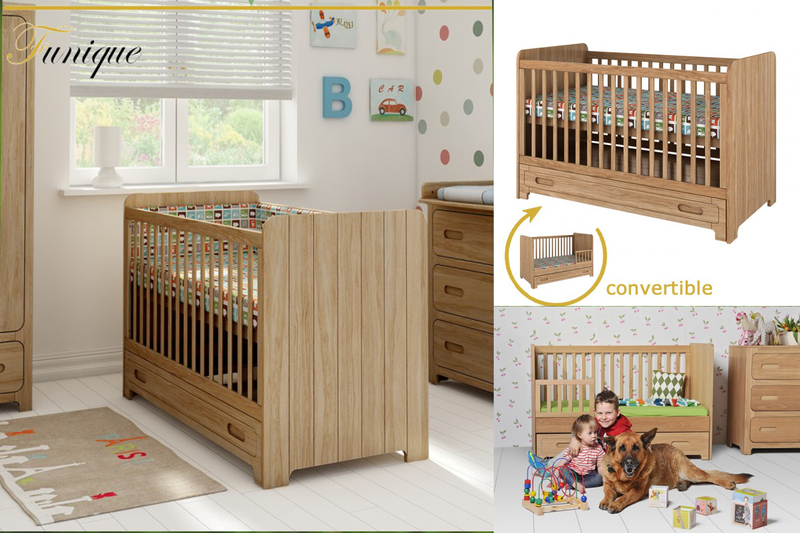 While the depth at the upper side after the mattress laid out should be around 30 cm, the same should be at least 15 cm when the cot bed is lowered. Now see whether the mattress just fit perfectly around all sides of the bed. To ensure this you need to buy mattress with at least 4 cm wider mattress compared to the cot size on both sides. In any case your baby should be prevented from rolling onto the gap between mattress and the cot. should be at least between 3cm and 5cm wide. Babies have an uncanny knack of chewing and licking anything they find and parents often take all measures to prevent them from touching and licking anything. Naturally, the paint of a cot bed is equally important to ensure your baby is not getting exposed to any toxic substance. So, just make sure that the cot bed is not painted with a toxic paint like lead based ones. Those who think colour is just an insignificant consideration for baby cot just are not aware how it can affect the mood of your baby. Babies are most responsive to colours and so all furniture pieces and elements inside the baby room should create the perfect contrast and gleeful ambience. When choosing colours for the convertible baby cot, beside contrast, you should also mind gender of the baby. Neutral colours like Grey and White can be good for contrast. For girl child you can prefer feminine colours like pink or pale yellow, while for boy child the cot bed colour can be vibrant blue, light green or even a soothing shade of orange. There’s a lot to love about digital photography; it’s instant, it’s sharable and there’s no need for piles of hefty family photo albums gathering dust in the closet. But those photo albums were a great way to keep memories safe. In the good old days, once photos were developed and tucked securely into a photo album – barring fire, flood or apocalypse – they were literally safe as houses. Not so with today’s digital images. Experts estimate that one third of us have lost images for one reason or another. When you snap images on a phone, your phone can auto upload them to the cloud, but safeguarding images taken with a standalone digital camera needs a little more work. Digital cameras can hold thousands of images but all of those wonderful pictures could be gone for good if you lose your camera or memory card before you get around to transferring the images to another device. Get into the habit of loading the images onto your computer at home so that they aren’t languishing on your memory card. If your camera has Bluetooth, transferring your images is child’s play; just maintain a connection between your camera and computer or tablet, and your image files will automatically transfer themselves. A good cloud storage service is essential. 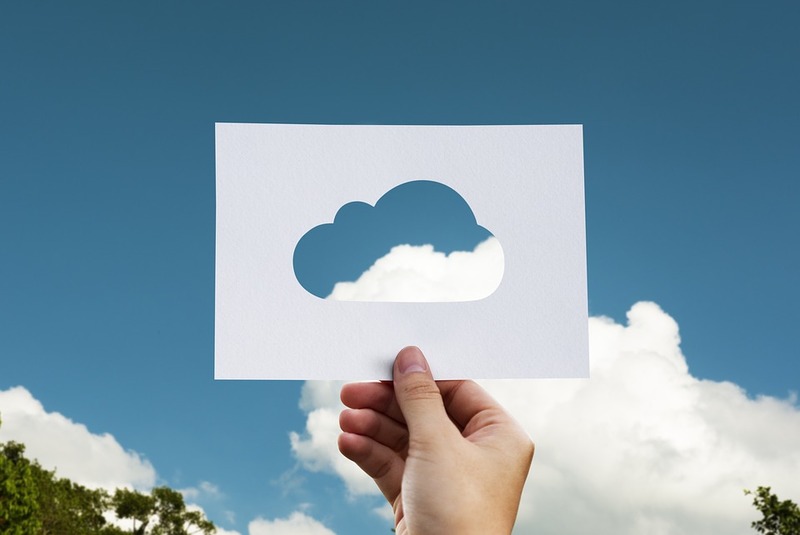 When you use the cloud to back up your images and video files, they’ll always be safe and you can access them on any device. For the utmost security, the cloud service that you choose should be a market leader. So many apps these days offer some amount of free cloud storage space but there’s no guarantee that these companies will still be around in 6 months, never mind 6 years, so stick with safe options like Google Drive, Amazon Cloud Drive, Microsoft One Drive and Drop Box. All of these providers give you plenty of free storage -15GB in the case of Google Drive – and for a small fee you can purchase more if you need it. Don’t despair if you have images saved on a computer hard drive and your machine bites the dust. Computers and laptops regularly fail, but the data on the hard drive is often perfectly fine, you just have to access it. If you fancy taking a screwdriver to your desktop or laptop computer, you can liberate your hard drive and hook it up to another computer. This is simple to do on a desktop computer, just release the screws on the case, slide the side panel off, then unplug the drive. Laptops take a little more work, and the best idea is to use another device to view a YouTube video showing you how to go about it for your model. Sometimes, though, the data on the hard drive is corrupted or overwritten. Fixing this kind of problem is beyond the capabilities of most of us, so in this case you need to hand your drive over to experts like the secure data recovery professionals at Secure Data Recovery who will retrieve all of your irreplaceable images for you. This type of service can even help when memory sticks and flash drives get corrupted. Taking a few minutes every week to manage your digital images will keep them safe and sound and ready to be viewed whenever you feel like taking a trip down memory lane. And even if disaster does strike there’s a very good chance that a professional can recover your cherished images. One thing that everyone seems to have in common is a certain nostalgia for teachers – the best teachers managed to challenge us, terrify us and ultimately to inspire us as we made our way along the path from childhood to adulthood. How better to honor those great teachers than with great movies about teachers! Here are some of our favorites. This movie is not about a great teacher, exactly. Cameron Diaz stars as Elizabeth, a teacher who hates her job and is, not surprisingly terrible, at it. Determined to carry on in the job to earn money for breast implants, she is gradually charmed by her misfit students, including a quiet boy with a crush on the superficial Chase Rubin Rossi, and inspired by the many dedicated teachers that she shares the teacher’s lounge with. This charming movie opens in the 1960s and follows the life and career of Mr. Holland, composer who takes a high-school music job to be able to spend time with his family. A major challenge emerges when he realizes that his son is born deaf, and a result, he has difficulty connecting with his son who he believes will never share his own love of music. Over the course of the following decades, Mr. Holland struggles with family issues and his own disappointment and sense of having been a failure for having given up his musical aspirations. But the many students he inspired in his career as a teacher find a way to show him that they have become his opus. Dewey Finn, who was recently kicked out of his band, ends up taking a job as a substitute teacher at a fancy private school after impersonating his roommate. With no experience as a teacher, he introduces the young students to the one thing he does know about – rock and roll – after watching them play music together in a band class. 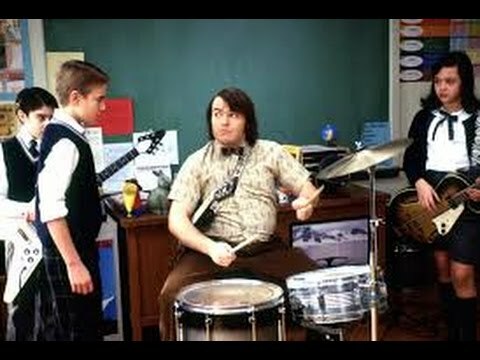 Determined that his class room rock and roll band has a chance to win the local Battle of the Bands, Dewey and his class embark on a special class project. A classic of the teacher genre, this film is one of the best of its kind. This film stars Michelle Pfeiffer as LouAnne Johnson, a recently discharged Marine who accepts a teaching position at a rough, gang-plagued high-school. Despite enormous challenges, LouAnne slowly earns the trust of her students and helps them to see themselves as young people full of potential rather than people to be written off. However, the reality of gang-life, teenage pregnancy and despair strikes close to home, making it very difficult for LouAnne to carry on. These are just some of the many excellent movies made about the people who dedicate their lives to teaching young people and who often go above and beyond to help them discover their inner potential. While many people look forward to retirement, imagining a life of ease and freedom from the stress and strain of earning a living, this idyllic scenario is only possible if a person has carefully planned their retirement income many years earlier. Only those who have planned ahead get to enjoy their favorite hobbies and pastimes in their golden years. Only too often, many seniors spend most of their time worrying how to keep their health and wealth. Finances are one of the biggest challenges facing retiring seniors. Although a senior may have saved for years to build their nest egg, this money can be quickly drained by medical expenses or emergency issues. Assisting elderly relatives with the financial aspects of retirement and aging can be a complicated process. While there is no guarantee that an elderly relative will be able to have enough money after retirement, you can still help them avoid making costly mistakes and advise them on what steps to take to protect their assets. 1. Get some immediate income. What can you do if a relative is experiencing money woes? One way to get immediate relief from their financial struggles is the option of getting a reverse mortgage if they own their own home. You’ll discover when you being learning about a reverse mortgage that it’s a financial agreement that allows a homeowner to relinquish the equity in their home in exchange for regular cash payments. This money can help supplement their retirement income. 2. Consider Medicare open enrolment. “Open enrolment” is defined differently by Medicare than you might recall from your days with employer-sponsored health coverage. In this case, it’s not the time to enroll in Medicare. Most people enroll in Medicare before their 65th birthdays. Instead, open enrolment is the time Medicare designates each year to make changes in coverage, such as leaving original Medicare (Parts A and B) and joining a Medicare Advantage plan, choosing a prescription drug plan or changing current coverage. It can be awkward asking an elderly relative to write a will as this can be a sensitive topic. However, if they die without writing a will, the law will decide what happens to their assets. It decides who will benefit and how much they will receive regardless of the relationship your relative had with people when they were alive. 4. Work with expert financial advisor’s. Unless you’re an accountant or know a great deal about finances, it’s always a good idea to work with a financial advisor. Managing money can be complicated and an expert can help you discover options that you didn’t even know existed for reducing expenses or increasing income. 5. Be vigilant about scams. The elderly are often preyed upon by con men, who understand how eager seniors are to get financial relief. These con artists often present them with spurious business opportunities either by mail, a telephone call, or by visiting the house. Often these schemes are difficult to spot as they are presented in a highly plausible way to excite interest. In addition, financial exploitation may not come from a stranger but from a family member. It’s important that you learn how to stop scams and financial abuse and how to accurately report them to law enforcement. You may have to see if the paperwork for social security benefits, pensions, stocks, bonds, and any other financial sources of income or assets are updated. It’s possible that forms have not been filled out properly or updated and that your relative is not receiving the benefits, income or dividends that they are eligible for. 7. Develop a short and long term financial plan. Finances are never static because the value of money changes over time. Inflation affects purchasing power. Consequently, social security income, investments and other sources of income may have to be updated to keep pace with the rate of inflation. Without a budget, it’s easy to overspend. We are all surrounded by many tempting goods and services that satisfy our needs. Working with the constraints of a budget prevents someone from spending too much money too quickly. 9. Stay open to investment opportunities. If your relative has an active portfolio in the financial markets, it’s important to keep an eye on investment opportunities. More money coming in will help offset any unexpected cost of living expenses. 10. Focus on preventative health care. Medical expenses are one of the biggest challenges the elderly face. Fortunately, choosing healthy habits and make positive lifestyle choices can do much to improve health. Existing medical conditions can be mitigated and potential health problems avoided through the practice of healthy eating, exercise, and sufficient rest. It can be initially challenging helping an elderly relative manage their finances, especially if they have neglected their financial well-being for a long time. However, with patience, kindness, and working with financial experts and the many resources available for the elderly, it can be rewarding to improve your elderly relatives financial situation.